Hello girsl~ As you know I'm a big fan of skin care (especially compared to makeup) and my journey to find the one (for skin care) is still long way to go! And I always love to try out new products, especially the one that I've never heard before (but should be legit yes!). And I came across this Rin Bi-Gyeol Soo series from HANSAENG Cosmetics thanks to BNTNews! Let's see my review of these two beautiful ladies. 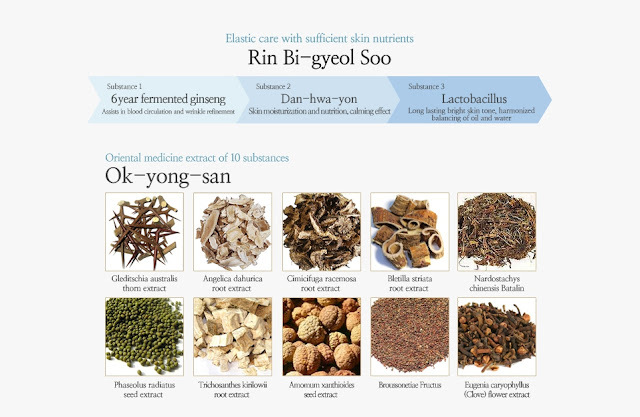 Rin Bi-Gyeol Soo is fermentation recipe for full elastic skin. It treats your skin for full elasticity with high functional oriental medicine care. The high functional oriental medicine skin care product with 6 years fermented ginseng, patented effective substances, and 15 valuable oriental medicine extracts, all extracted through fine and safe supercritical method to give skin quick and long-lasting effects. A highly concentrated essence with deep moisturization and sufficient nutrition to present a smooth and refined skin tone through 6 year fermented ginseng extract and oriental medicine flower complex, dan-hwa-yeon. A whitening and anti-wrinkle functional product with niacin amide for bright skin tone and adenosine for refining wrinkles while supplying fast moisturization through sodium hyaluronate. It comes in a airtight pump packaging (50ml), quite a deal since it's big and long enough to last up to 6 months. The texture is quite runny, but gel like. It has such a refreshing yet soothing scent, which is very lovely for me. It also absorbs quickly. As you can see it leaves no residue and my skin appears more moist and glowing. I love the part that it absorbs quickly since it's very nice and easy for me. Especially because I live in Indonesia (tropical country) which is very humid. Fast-absorbing cosmetic is a must! Presents a smooth and refined skin tone through 6 year fermented ginseng extract and oriental medicine flower complex, dan-hwa-yeon. A whitening and anti-wrinkle functional product with niacinamide for bright skin tone and adenosine for refining wrinkles. With phellinus linnets, sophora flavescent, and scutellaria baicalensis extracts assists forming of skin protective barrier giving skin a smooth tone. 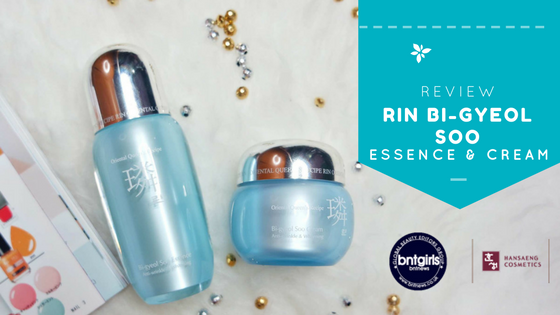 Similar to the Essence, Rin Bi-Gyeol Soo Cream also quickly absorbs and feels lightweight on my skin. It's not thick, the texture is almost like gel and quickly dissolve into my skin few seconds after being applied. The scent is also similar, refreshing yet soothing at the same time. It also saves my time in getting ready everyday as I only need 30 seconds to 1 minute for the next step (sunscreen). 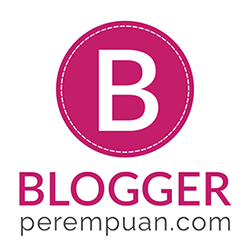 In summary, I give my two thumbs up for Hansaeng Cosmetics Rin Bi-Gyeol Soo Essence & Cream. They work well on infusing nutrients and being highly absorbing cosmetic. And I highly recommend Rin Bi-Gyeol for those who wish for brighter skin. I have dull and combination (dry on most of the U-zone of my face) skin and I find this product being my skin savior. And for those of you who have concerns over the natural products, yes this product is an oriental medicine cosmetics which is based on natural substances. So, no more worries! As for the skin improvement, I'll update you soon after a month of usage. 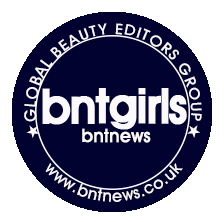 Watch my unboxing video for July BNT beauty box!